Jesus repeatedly taught about love. He even said it was the only command He was leaving for His followers. Love was a regular and central theme in His preaching and ministry. Jesus understood that sacrificial love releases the power of God to accomplish truly amazing things in the lives of people around us. John, the Apostle, highlighted these teachings quite often in his Gospel. We find three particularly powerful places where this is the case in John 3:1-18; 13:34-35 and John 15:17. 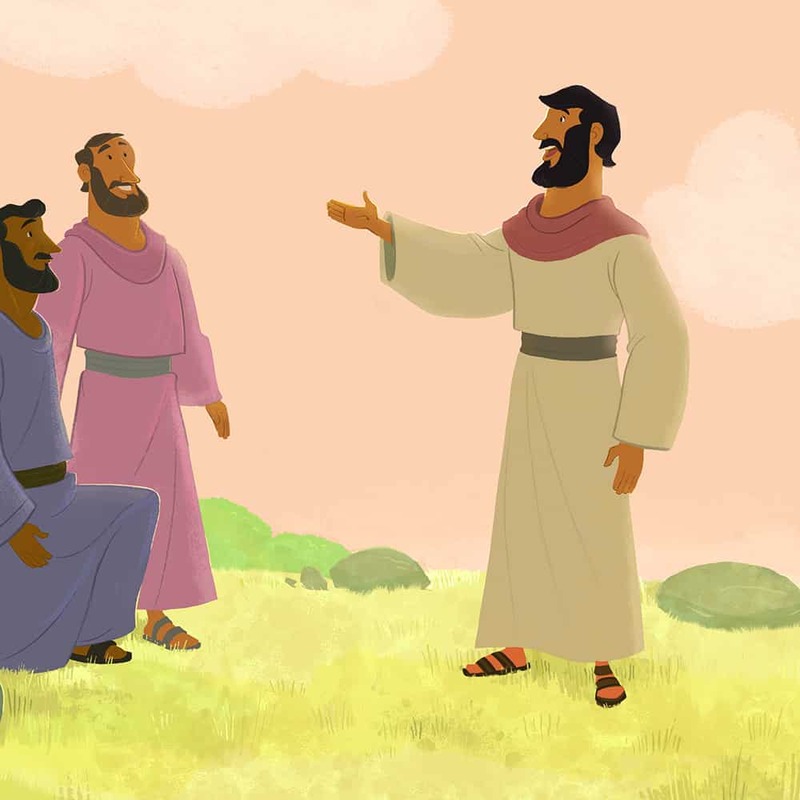 These Jesus Taught About Love Bible activities underscore Jesus' teaching on love and will help kids learn that we are to love people sacrificially, just as Jesus loved us and still loves us. 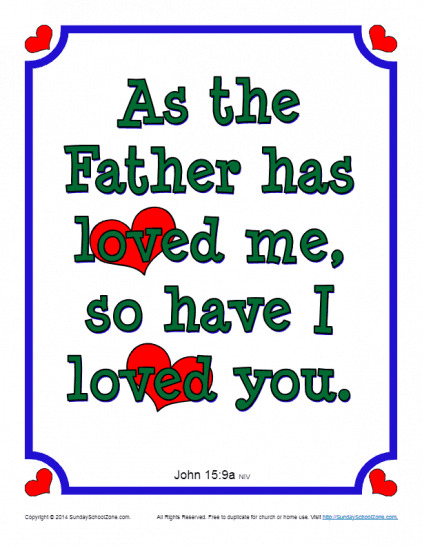 This scripture poster, reflecting Jesus’ words of encouragement to His disciples in John 15:9, can be placed on a wall or mirror and will remind children that Jesus loves us in the same way that God loves him. That’s wonderful news!